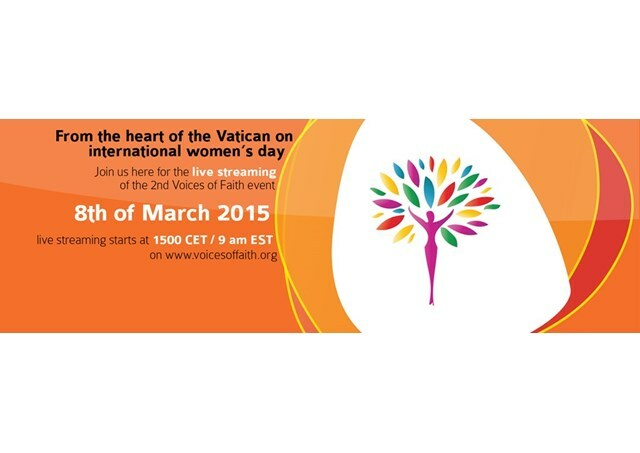 (Vatican Radio) To celebrate International Women’s Day on 8 March, the second edition of the Voices of Faith storytelling event will once again be held in the Vatican, bringing together talented Catholic women of faith from around the globe to share their inspiring experiences in reaching out to the world’s poor and marginalised. This extraordinary event will take place at the heart of the Vatican in the 16th century Casina Pio IV, home to the Pontifical Academy of Sciences. Voices of Faith’s first edition on 8 March 2014 was held in the Vatican’s Cinema-Film Library. As part of the event, the € 20,000 “Women Sowers of Development” prize will be awarded by Caritas Internationalis and Voices of Faith. In a statement, organizers say “The event will highlight the contribution of women to the work of the Catholic Church in accompanying the poor, upholding human dignity and promoting equality.” The speakers will include human rights advocates, policy makers, academics and visionaries - many of whom have faced adversity and seemingly insurmountable challenges in carrying out their work. The event will be live streamed on the web: www.voicesoffaith.org starting at 15:00 Central European Time (1400 UTC) on Sunday 8 March. Mukti Bosco is co-founder and secretary general of Healing Fields and an Ashoka Fellow. She will share insights into what it takes to make quality healthcare affordable and accessible to the poor and marginalised in India. Sr Hatune Dogan, the Founder of Hatune Foundation International, will tell her courageous story of how she offers help to minority Christians being persecuted in the Middle East. Mary McFarland is co-founder and international director of Jesuit Commons: Higher Education at the Margins (JC:HEM). She will tell the remarkable story of how they created distance learning for higher education in refugee camps. With her at the storytelling event is Suad Mohamed, a former Somali refugee who participated in the JC:HEM programme and finally earned her diploma. Sr Marta Pelloni founded Infancia Robada (National Stolen Childhood Network). She will tell the audience how they fight against domestic violence, the trafficking of women and children, and organised corruption. For detailed information about all the speakers participating at the Voices of Faith storytelling event, the program, and to access the live streaming, please go to www.voicesoffaith.org. In many parts of the world, women have less access than men to resources like credit, education and land. Experts say that if women had equal access to resources, 100 to 150 million people globally could be lifted out of hunger. The Women Sowers of Development Prize is made up of two awards consisting of €10,000 each. One category is aimed at programmes carried out by Caritas organisations. The other is aimed at organisations outside the Caritas network. Voices of Faith is a core initiative of the Liechtenstein-based Fidel Götz Foundation whose work aims to enrich the lives of women and girls globally. The Foundation supports different initiatives within the Vatican and works with global Catholic organisations to develop and implement programmes in various sectors. Caritas Internationalis, the official humanitarian and development organisation of the Catholic Church, is dedicated to serving the poor and to promoting charity and justice. Caritas cares for the world’s poorest, responding to disasters, providing social services, promoting integral human development, speaking out against the causes of poverty and violence and galvanising all people of good will. Inspired by the Gospels and Catholic teaching, the 164 national members of Caritas Internationalis seek to promote peace between peoples, sustainable development, the right to food, safe migration, decent work and good health - especially for people living with HIV and AIDS.